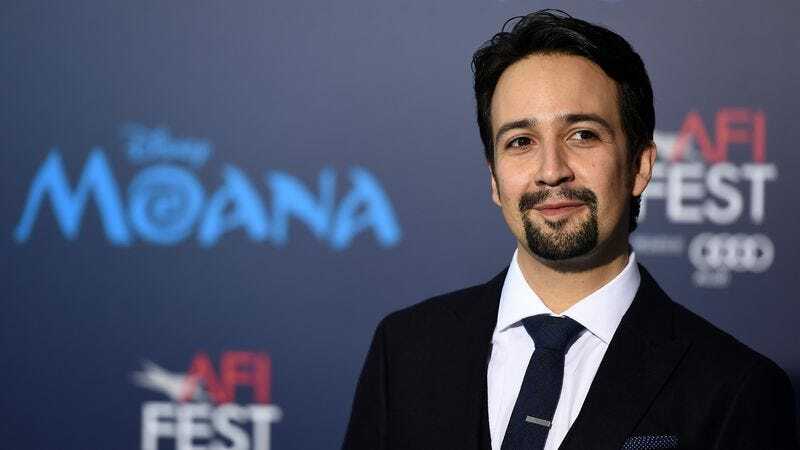 Lin-Manuel Miranda is currently Donald Trump’s enemy, but he wants to be Spider-Man’s. A report broadcast on the podcast Meet The Movie Press reveals that Miranda apparently really wants to play Carnage. “He said if Disney and Marvel were looking at doing a Maximum Carnage movie or bringing Carnage in as a character, he wants to be Carnage,” co-host Simon Thompson explained. “That’s a goal of his.” It’s somewhat hard to imagine the often jolly Miranda playing the crazy, murderous Cletus Kasady, but perhaps his wish is derived from fandom and a desire to stretch his acting muscles. Miranda now is deeply embedded in the Disney machine, so if he wants a part in a Marvel movie it might not be that hard to get one. (We’re imagining this could be orchestrated with just a quick call from John Lasseter to Kevin Feige.) In fact, it’s almost surprising, come to think of it, that he wasn’t cast as a cool teacher in Spider-Man: Homecoming, which has enlisted every other Internet fave.